Leading author and cultural activist and former Vice-Chancellor and Principal of a number of universities. Njabulo Simakahle Ndebele was born on 4 July 1948 in Johannesburg to Nimrod Njabulo Ndebele and Makhosazana Regina Tshabangu. Ndebele completed his matric at St Christopher’s High School in Luyengo, Swaziland in 1966. In 1971 Ndebele married Mpho Kathleen Malebo. They have one son and two daughters. In 1975 he received a Master of Arts in English Literature from Cambridge University, where he was the first recipient of the South African Bursary to study at Churchill College at Cambridge. He then received a Doctorate in Philosophy in Creative Writing from the University of Denver in 1983. He served as President of the Congress of South African Writers from 1987 to 1997. Much of Ndebele’ working life has been spent in academia. In 1988 Ndebele became the Pro Vice-Chancellor at the National University of Lesotho, a position he held for two years. In 1991 he became the Head of the Department of African Literature at the University of Witwatersrand. Ndebele joined the English Academy of South Africa in 1991 and has remained a member since then. Ndebele then took a position as Vice-Rector of the University of the Western Cape between 1992 and 1993. This was followed by the Vice-Chancellor of the University of the North between 1993 and 1998. During this time he was also the Chair of the Human Sciences Research Council from 1995 and 1998. He was also the Chair of the TeleComms division at the South African Broadcasting Corporation in 1997. From 1998 to 2000 Ndebele was a resident scholar with the Ford Foundation and served has served as the President of the Congress of South African Writers for many years. In July 2000 Ndebele was appointed Vice-Chancellor and Principal of the University of Cape Town, a position he held until June 2008. Between 2001 and 2002 Ndebele was the Chair of the History Panel in the Department of Education. He was also a Board Member and Chair of the Institute for Democracy in Africa (Idasa). 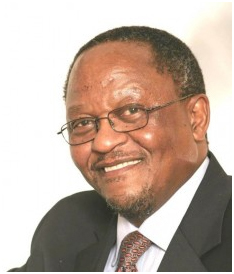 Ndebele was elected Chair of the Southern African Regional Universities Association and served on the board of the Association of African Universities since 2001. Ndebele has been awarded numerous honorary doctorates from universities in the United Kingdom, Netherlands, United States of America (USA), Japan and South Africa. In 2006 Cambridge University awarded him an Honorary Doctorate in Law and he was made an honorary fellow of Churchill College in 2007. In 2008 he was awarded an Honorary Doctorate in Law from the University of Michigan. Between 2006 and 2008 Ndebele represented the University of Cape Town at the World Economic Forum in Davos, Switzerland. In 2009 the National Research Foundation (NRF) awarded Ndebele the President’s Award for Lifetime Achievement. Between November 2009 and May 2010 Ndebele sat on the Council for External Review at the Durban University of Technology. Ndebele was a consultant with Artscape between January and August 2011. Since 2009 he has been a member of the Archive and Public Culture Research Initiative in the Department of Social Anthropology at the University of Cape Town.